Give a gift to a loved one with breast cancer that will light up their holiday season. To be candid, the holiday season can be a challenge. Between gift-giving pressures, social obligations, and just unrealistic expectations, not everyone is smiling during the holidays. Admittedly, Christmas-time is an emotional time for me – it reminds me of my mom’s passing fifteen years ago from metastatic breast cancer. And if you or someone you love is suffering from breast cancer, well, let’s say you might not be belting Christmas carols at the top of your lungs this year. No matter what holiday(s) you celebrate, there’s a special art to gift giving that I think many of us have forgotten. After all, it’s easy to either become swept away by all the holiday sale notifications that are flooding your email inboxes right now, or become cynical of holiday commercialization. But gift giving at its core dives so much deeper than any buy one get one sale at Bed, Bath, and Beyond (although that’s hard to pass up I mean come on). Gift giving can improve relationships, develop a mutual sense of reciprocity, and foster trustiworthiness. Gift giving however can become complicated if a loved one has breast cancer. Aside from financial struggles and deteriorating health, there’s a whole sleu of emotions that they could be feeling that makes the holidays a sensitive time of year. Maybe they feel vulnerable, guilty, or even selfish, and have no idea how to express that to you. They’re going through hell, and giving them a gift that can help put a smile on their face may seem nearly impossible. This is not meant to be a “one size fits all” kind of list. Rather I hope this can be a road map to provide you with guidelines of what you may want to consider before giving a gift to a loved one with breast cancer. 1) Give them something cozy. Chemotherapy is rough. Think about it, chemotherapy literally poisons the human body. That’s a gross over-simplification, but you get my point, I hope. Aside from the immediate strain of treatment, the prescriptions will often trigger other uncomfortable side effects. So your loved one could always use an extra snuggly sweater, a candle as big as their face, or a beautiful bath bomb (Note: Sometimes after surgeries or during high-intensity treatment they may not be able to take baths. Always consult your loved one if you’re unsure). Breast cancer is incredibly unsettling. It disrupts people’s lives and shatters their idea of the future. Suddenly thinking about a year from now, six months from now, even a week from now can feel like mental gymnastics. That said, it might be insensitive to get them tickets for a concert that’s set for next October. The gift might only remind them of their biggest fears surrounding death and dying. Whatever you give them – whether it be a physical gift or an experiential gift – make sure it’s something they can enjoy either now or in the near future. Money sounds like it could be tacky and thoughtless, and it honestly can be if you don’t honor tasteful gift giving decorum (although I’m always a fan of the high-five with a $5 bill trick). But, consider your audience. Cancer ain’t cheap. It’s not just medical bills. Trust me those are bad enough, but throw in life’s other obstacles into the equation, and now your loved one may be forced between paying this month’s long list of co-pays or paying their rent. Ouch. So whether it be a handwritten card with a check inside, a contribution to a GoFundMe page, or just strolling into your loved ones house and make it rain with dollar bills, money is always helpful for your loved one with breast cancer. If that still weirds you out, consider getting them a gift card for their all-time favorite store. It sounds lame but you can’t go wrong, they’ll use it and get themselves a gift they’re bound to enjoy. 4) Give them something that’s reflective of you as the gift giver. I know this sounds weird but hear me out. 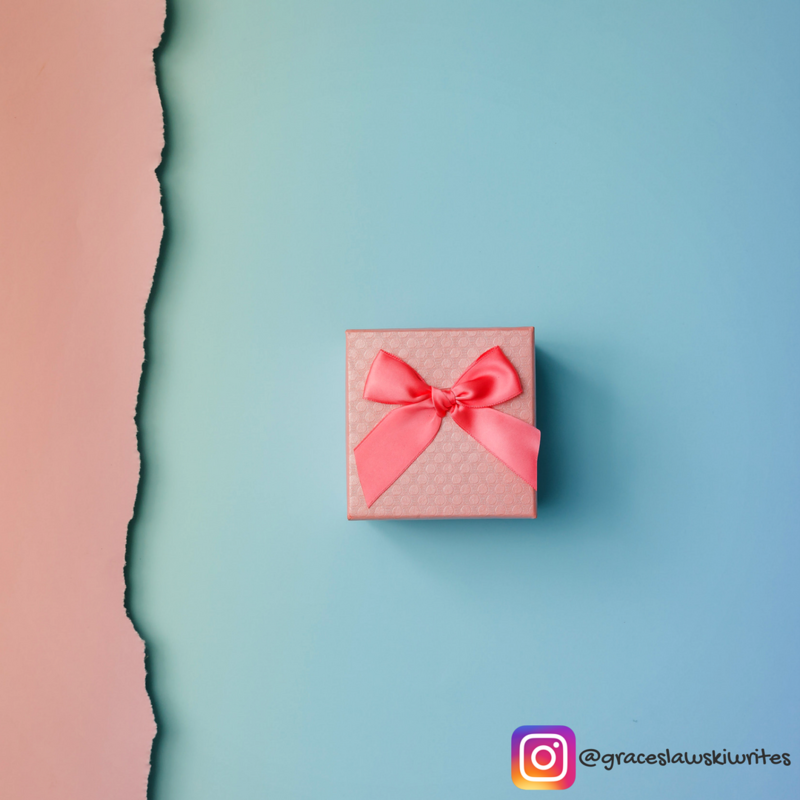 As a precursor to this tip, check out this tidbit from The Guardian, “for a present to be meaningful, you need to give away a bit of yourself, even if there is a risk that the gift might not square so closely with the recipient’s practical needs or tastes than one acquired purely with that in mind.” In other words, be yourself! Your loved one obviously loves you for who you are, so flaunt that charm 😉 Whip up that DIY peppermint face scrub, bake a zillion of your favorite cookies, or give them a book that’s inspired you, whatever is your thing, do it, because it’s probably awesome. 5) Just spend some quality time with them, damn it! I mean, need I say more? Don’t let your loved one feel lonely this holiday season. Snuggle them close and remind them how badass and amazing they are. Lastly, if I have one last piece of advice, don’t get your loved one something that directly reminds them they are diagnosed with breast cancer. Trust me, they haven’t forgotten, so there’s no need to remind them this holiday season. Give them something that honors them for who they are, independent of breast cancer. Hopefully these tips will be helpful this holiday season ✨. If you liked this article, check out a similar post I wrote for YogaByCandace.